The bears are always looking for food, trying to put on as many pounds as possible before winter arrives. 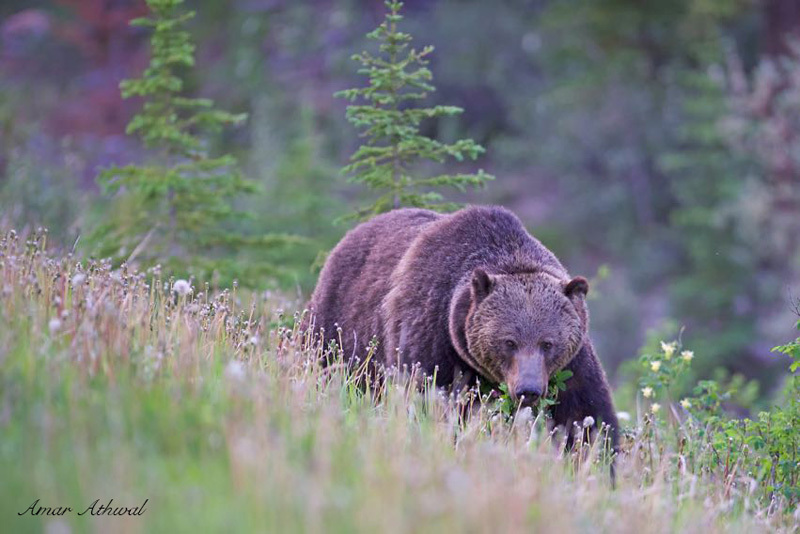 This grizzly was on the move, but always stopping to grab food as he went. Being active only 6 - 8 months of the year, constant feeding is important to survive a winter and rest of the seasons.